“You shall always be with me as you were – bubbling with life, elegant in thought and deed, and above all, giving from a kind and generous heart. Every day, as I place my hand on the barre I shall think of you; your teaching will live on through us - I see it now as our duty. What a joy to have known you, to have learnt so much thanks to your boundless devotion to art! For even after so lengthy a career, you could still be surprised and delighted! At three decades’ interval, the words above – penned respectively by great experience and by youth – sum up the whirlwind that was Yvonne Cartier, who died on May 11th in Paris. A maverick who invariably headed straight off the beaten path, Yvonne Cartier was a former Royal Ballet soloist who became a specialist in mime technique, and as a teacher of classical dance, an unsung hero. Of French and Irish extraction, Yvonne was born in 1928 near Auckland, and began her theatrical career at the age of four. Immediately after World War II, thanks to her work under Bettina Edwards, herself a pupil of Margaret Craske, Yvonne won an RAD Overseas Scholarship to the Sadler’s Wells Ballet School. After graduating, she joined the hit revue Sauce Tartare alongside Audrey Hepburn (Yvonne was an exceptionally beautiful redhead), while studying with Vera Volkova and Audrey de Vos. In 1949, she joined Alan Carter’s Saint James Ballet Company, and in 1950, was soloist with the B.B.C. TV Resident Ballet Company, dancing, inter alia, Swanilda to David Blair’s Franz. After touring with the Covent Garden Opera Company, she met up with John Cranko’s troupe at the Henley-on-Thames Festival to save the Kenton Theatre. Just as she was becoming disillusioned with all the “mushroom companies” offering no stable work (touring conditions at the time were often appalling, and she recalled having slept in rooms where no windows would close, and the sheets were coated in ice) in 1952 Sadler’s Wells Theatre Ballet recruited her as soloist. There, in the demi-caractère rôles at which she excelled (including the lead in Pineapple Poll), she caught Ninette de Valois’ eye and in 1955 joined the main company, Sadler’s Wells Ballet, as soloist. Unfortunately, bone spurs, incurable at the time, caused her pain to a degree that in 1957, Yvonne resigned from the then-Royal Ballet and left to study at Jacques Lecoq’s mime school in Paris with a letter of recommendation from Margot Fonteyn. Proud to a fault, only years later did she tell de Valois the truth about why she had left. Shortly thereafter, Yvonne was invited back to London to dance Carabosse in the cast led by Fonteyn and Somes for the BBC’s 1959 film of The Sleeping Beauty. She then returned to France and joined Lecoq’s troupe; they toured Europe and did television shows in the UK and Italy, as well as the BBC documentary Hands as a Means of Communication (1961). In 1963 she was recruited by the great mime Marcel Marceau, with whom she again toured widely. Later in the decade, she worked at the Théâtre National Populaire as assistant director to Michel Cacoyannis and George Wilson. She also taught mime for many years at the Ecole Charles Dullin, and in the 1970s, choreographed for stage plays directed by Claude Confortès. Yvonne’s final appearance on stage was as Franz to Noëlle Christian’s Swanilda, for the Royal Ballet Organisation’s Ballet for All. To mark the centenary of Coppelia, Paulette Dynalix and Lucien Duthoit of the Paris Opera reconstructed Saint-Léon’s version, which tourned the UK, attracting much favourable comment. 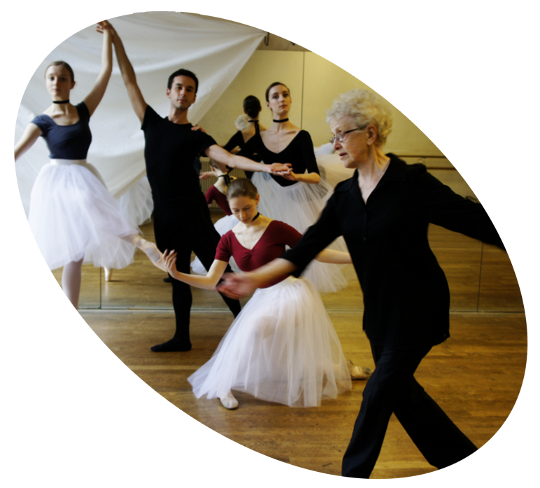 In 1961, she returned to teaching classical dance, and in 1969 introduced the RAD system to France, being made an RAD life member in 1995 in appreciation of her work. As the remarkable quality of Yvonne’s teaching became bruited about, she was invited to join the staff of the Conservatoires of the City of Paris. Three of her students - Muriel Valtat, Betina Marcolin and (following Yvonne’s stint leading the Dance Department at the Saskatchewan School of Performing Arts), Tonia Stefiuk-Olson - were awarded the RAD Solo Seal and went on to distinguished careers: recipient of the first Phyllis Bedells Bursary, twice awarded Bronze in the Adeline Genée competition, Muriel became first soloist with the Royal Ballet (1992-2003). Bétina, formerly soloist with The Royal Swedish Ballet, is now a noted choreographer and teacher in Stockholm. Awarded the Solo Seal, then finalist at the Adeline Genée Competition in 1991, Tonia was for over a decade soloist with Salt Lake City Ballet. In the 1980s, many “old school” teachers quit the profession, demoralised by the craze for hyper-extensions and “Legs-Up Dance” as Leo Kersley put it. Others simply went along with the trend and tried to “make it work”. Yvonne, however, insisted on teaching what she had learnt from the great masters. Anatomically-correct placement eschewing all exaggeration, arms firmly supported through the back and ideally formed at all times no matter the speed or momentum, lightning-swift batterie learnt from Errol Addison, and the stripping-away of all tics and mannerisms. Yvonne loved the theatre, the science of acting, the comedy and the tragedy of it, and was pitiless with “standardised” emotion” and wan “ballet faces”. Each gesture, even in class, must be driven by an appropriate emotional response to the music. Every moment, even in class, must be alive, animated, and led by the spirit. In 2007, Yvonne Cartier joined the Société Auguste Vestris as a founding member, and led many of its rehearsals. Coaching young professionals until a few months before her death, she kept her caustic sense of humour and headstrong enthusiasm to the very last. Vous demeurerez pour moi une femme pétillante, d’une élégance rare et surtout une personne au grand coeur. Je sais que vous resterez à nos côtés et que vous serez toujours dans nos pensées. Vous êtes avec moi chaque jour dès que je pose ma main sur la barre; votre enseignement perdurera à travers nous. C’est maintenant notre devoir. Je suis heureuse de vous avoir connu, d’avoir tellement appris grâce au dévouement sans limite que vous portiez à votre art , car même après une longue carrière, vous arriviez toujours à être surprise et émerveillée. Vous êtes l’une de ses rencontres qui changent une vie; et pour tout cela je ne peux que vous dire: MERCI Yvonne. Yvonne was in herself a whole institution. She not only taught dance, she formed her pupils to the spirit of Dance and The Arts in general. Talking and above all listening to Yvonne could take hours and being her student feels more like being her"disciple". She had a very wide range of knowledge and kept herself updated, there were very few subjects that she hadn´t anything to say about. She shared it and time just flew. No dancing movement or gesture was unimportant to her and one had always to find an intention, everything mattered. And if you didn´t have anything to say while dancing, why do it? There are so many good moments to remember with her, and also her phenomenal stubbornness, as one says in French: Elle était têtue! and we have probably all shaken our heads with saying "Tu connais Yvonne", when none of our understanding could explain her choices. Yvonne had a very strong artistic integrity. Sailing through the sea of Art is not always easy and she might have been missunderstood sometimes, but we will probably catch up one day and understand. Working with her and being with her has undoubtly made a great impact, probably even bigger than one can imagine. The rings in water have just started to spread and one can say across the world. I am sure she will continue to support us from where she is and follow our steps. With a deep bow, thank you from the bottom of my heart and of all the people that came across you. I was a student of Madame Cartier’s for the short time that she spent in Saskatoon, Saskatchewan with the School of Performing Arts. It was because of her that I found the courage to leave Saskatoon and move to Vancouver to join the Goh Ballet Academy. I completed my RAD Solo Seal and was a finalist at the Adeline Genee Competition in 1991. Upon graduation, I joined the Ottawa Ballet under the directorship of Frank Augustyn as soloist (1991-1994), and then spent 10 years as a soloist with Salt Lake City Ballet (1994-2004). In 2004, I retired from dance and returned to Saskatoon where I am now working as a nurse. I have led a wonderful life and I thank heaven to have been blessed to have spent time with Madame Cartier. Je l’aimais beaucoup, et elle aussi je crois. Ni l’une ni l’autre n’avons jamais été très commodes ni démonstratives. Mais je lui dois mon amour de la danse. C’est énorme. Ma rencontre avec Yvonne a été une chance que la vie m’a offerte. L’extraordinaire richesse de sa carrière ainsi que sa pensée pédagogique m’ont très vite fascinée. Son élégance, son sourire, son regard qui pouvait passer de la douceur à la plus grande fermeté, son accent si séduisant, sa démarche décidée, sa silhouette de jeune fille, ses boucles blanches faisaient de Yvonne une personnalité hors du commun. Alors, aujourd’hui chère Yvonne je peux vous dire : Je vous aime. Ce que vous m’avez donné je ne l’oublie pas et essaie chaque jour de le transmettre à mes élèves et cela ne peut se résumer. Lors de notre dernière conversation téléphonique, Yvonne m’a fait deux recommandations primordiales pour le futur que je vais m’efforcer de suivre à la lettre. Je respecterai ses dernières volontés pédagogiques...... Nous perdons une femme d’un grand savoir et d’une énergie hors du commun. Yvonne était quelqu’un de surprenant. A son côté solaire, à son amour fou de la vie, elle alliait le mystère et une certaine inaccessibilité. En studio, elle se dépassait. Tout en étant très présente, elle s’effaçait en quelque sorte pour que le sujet reste incontestablement la danse. La musique avait une place primordiale et chaque geste, chaque pas qu’elle proposait revêtait un sens théâtral, même à la barre ! Nous, ses élèves, étions des privilégiés, car elle savait exactement ce qu’elle faisait et où elle voulait nous amener, pour nous aider, nous libérer et nous mettre en valeur. Et elle y parvenait grâce à son regard lucide, sans préjugés ; rien ne l’échappait, mais c’était toujours bienveillant. Nous nous sentions accompagnés. Chaque cours était un voyage : elle fermait ses yeux, écoutait la musique et à travers la danse nous conduisait vers une dimension où le temps était suspendu. Je me souviens de ses longs adages, sur lesquels on passait des heures ! Le cours était si riche, si dansant, poétique, original, amusant et tout simplement juste ! Nous y étions bien et y prenions un plaisir immense. Lorsque nous travaillions le répertoire ensemble, j’avais le sentiment d’entrer en contact avec quelque chose de plus grand. Sa compréhension des styles était profonde, et elle savait leur rendre toute leur fraîcheur. Chaque pas prenait vie, il fallait le ressentir et se mettre en jeu pour que la danse soit aussi spontanée qu’une improvisation. Yvonne adorait rire et pimentait nos conversations d’un humour irrésistible ! Et cela jusqu’à la fin de ses jours. C’est à travers cet amour de la vie qu’elle demeurera pour toujours avec nous. Ma rencontre avec Yvonne a changé le cours de mon existence. Soloist with the Saint James Ballet Company, founded by Alan Carter (Arts Council of Great Britain subsidy). And various soloist roles in Carnaval, Le Lac des Cygnes, Coppelia, The Lady and the Fool etc. Toured South Africa, Festival of Rhodesia, The Netherlands, Germany, USA, Canada, did television at New York etc. At Ninette de Valois’ invitation joined the main company, Sadler’s Wells (now Royal) Ballet. French Government scholarship to study mime at the School of Jacques Lecoq. Two years of mime study. Edinburgh International Festival : Ballet mistress for Peggy Van Praagh, who ran the company. It toured Europe: Holland, Belgium, Switzerland, Yugoslavia. The artists were Carla Fracci, Henning Kronstam, Kirsten Simone, Elsa Marianne Von Rosen, Claire Sombert, Max Bozzoni, Milorad Miskovic, Georges Skibine, etc. Rome: The Seven Capital Sins Brecht/Weill. Rome: TV: Etudes aux Allures and Les Trois Soldats. Return to New Zealand : Conferences and course on mime for the Auckland University Teachers Training College. Théâtre National Populaire (TNP) : Assistant to the director Georges Wilson for Grandeur et Décadence de la Ville de Mahagony (Brecht/Weill). Yvonne also directs Les Hommes j’aime ça. Paris, at the Coupe-chou (17th September). Teaches at the Conservatoire Marius Petipa, Paris and the Conservatoires de la Ville de Paris. Her pupils Muriel Valtat and Bétina Marcolin are awarded the RAD’s Solo Seal Award on the same day; the jury is chaired by Margot Fonteyn. Leads rehearsals for the Nuits Blanches de Saint-Petersbourg, the Nuits Blanches du Risorgimento and the Grandes Leçons of the Société Auguste Vestris at the Centre de danse du Marais. Teaches students from French vocational schools extracts from the Conservatoire by August Bournonville prior to the arrival in France of the Royal Theatre’s Flemming Ryberg. November : Le Style – terrain de jeu de l’imaginaire. With Ethéry Pagava (who taught the section on Liubov Egorova), gives a Grande Leçon for the Société Auguste Vestris and the Centre de danse du Marais : students of the Conservatoire national supérieur de musique et de danse de Paris dance the Grand adage by Tamar Karsavina. Gives Class of Perfection lessons to Pier-Paolo Gobbo (ex-Ballet de l’Opéra de Bordeaux and Maggio Musicale Fiorentino), Emma Brest (Cannes Jeune Ballet), Chikako Nishikawa of the Inoue Ballet Foundation, and students of Marie-Josée Redont of the Paris Opera School. 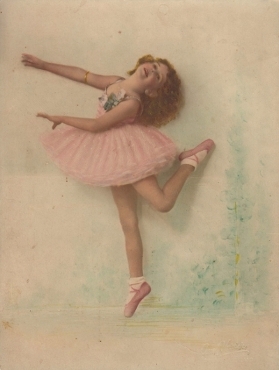 Ballet for Beginners by Felicity Andreae Gray. Phoenix House Limited, London 1952. Model for photographs. Soliste au Saint James Ballet Company, troupe fondée par Alan Carter et subventionnée par le Arts Council of Great Britain. Et divers rôles de soliste dans Carnaval, Le Lac des Cygnes, Coppelia, The Lady and the Fool etc. Tournées en Afrique du Sud, Festival de Rhodésie, Pays-Bas, Allemagne, Etats Unis d’Amérique, Canada, Télévision à New York etc. A l’invitation de Ninette de Valois, rejoint la troupe principale, Sadler’s Wells Ballet, renommée The Royal Ballet en 1956. Des éperons osseux l’empêchent cependant de danser au niveau de ses propres exigences. Tournée en Europe : Hollande, Belgique, Suisse, Yugoslavie. Avec les artistes Carla Fracci, Henning Kronstam, Kirsten Simone, Elsa Marianne Von Rosen, Claire Sombert, Max Bozzoni, Milorad Miskovic, Georges Skibine, etc. Retour en Nouvelle-Zelande : conférences et stage sur le mime pour le Teachers Training College de l’Université d’Auckland. Pédagogie pour les enfants. Théâtre National Populaire (TNP) : assistante de Georges Wilson pour Grandeur et Décadence de la Ville de Mahagony (Brecht/Weill). Yvonne est également metteur en scène du spectacle Les Hommes j’aime ça. Paris, au Coupe-chou (17 septembre). Ses élèves Muriel Valtat et Bétina Marcolin obtiennent le même jour et la même année le Solo Seal Award de la Royal Academy of Dance devant un jury que préside Margot Fonteyn. Comme répétiteur, participe aux Nuits Blanches de Saint-Petersbourg, aux Nuits Blanches du Risorgimento, aux Grandes Leçons de la Société Auguste Vestris au Centre de danse du Marais comme répétiteur. Instruit notamment les extraits du Conservatoire d’August Bournonville pour préparer l’arrivée en France de Flemming Ryberg du Théâtre Royal. Novembre : Le Style – terrain de jeu de l’imaginaire. Grande Leçon de la Société Auguste Vestris en collaboration avec le Centre de danse du Marais. Etude du grand adage de Tamar Karsavina avec des élèves du CNSMDP. Soirée donnée en collaboration avec Ethéry Pagava. Donne des cours de perfectionnement à Pier-Paolo Gobbo (ex Ballet de l’Opéra de Bordeaux et Maggio Musicale Fiorentino), à Emma Brest (Cannes Jeune Ballet), à Chikako Nishikawa de l’Inoue Ballet Foundation, à plusieurs élèves de Marie-Josée Redont de l’Opéra national de Paris. Ballet for Beginners par Felicity Andreae Gray. Phoenix House Limited, London 1952. Modèle des illustrations photographiques.